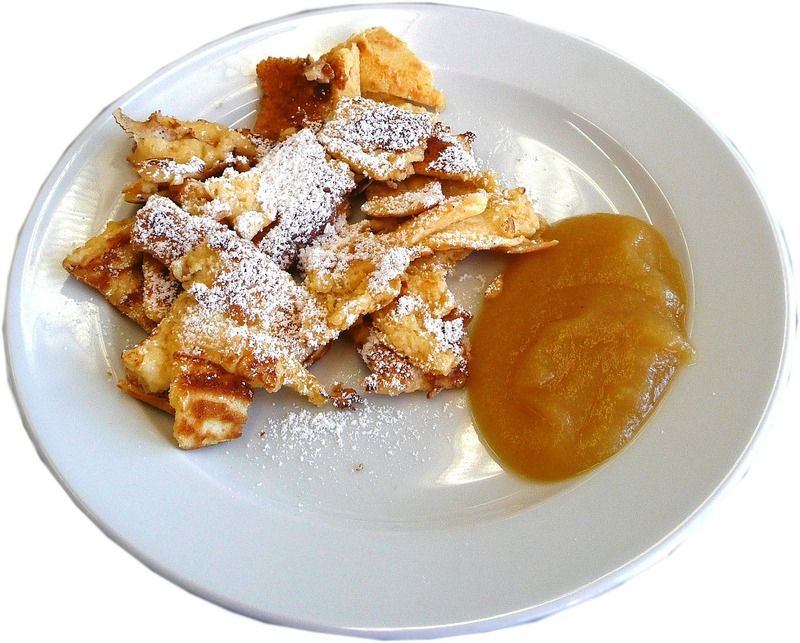 Kaiserschmarrn recipe is a local Austrian-German specialty that has become very popular. Let's look first at some definitions. The word "Kaiser" means "Emperor" and "Schmarrn" means "Mishmash" in Austrian-German. Nevertheless the translation of Kaiserschmarrn has generated some debate. “Kaiser” is literally translated as "emperor", but not the word “Schmarrn” that has different definitions such as mishmash, mess, crumbs, a trifle, a nonsense, a fluff. But what is Kaiserschmarrn really? Kaiserschmarrn is a light, caramelized pancake made from a sweet batter baked in butter. You can vary it with nuts, cherries, plums, apple jam or small pieces of apples, or caramelized raisins and chopped almonds. The pancake is cut into pieces while frying, shredded after preparation and usually sprinkled with powdered sugar, served hot with apple or plum sauce, or various fruits such as prunes or plums, lingon berries, strawberries or apples. Kaiserschmarrn is actually a dessert, but you can serve it as a main dish as well. It is generally agreed that the dish was first prepared for the Austrian Emperor Francis Joseph I (1830–1916). There are several stories: One story involves the Emperor and his wife, Elisabeth of Bavaria, of the House of Wittelsbach. The lady was obsessed with maintaining a minimal waistline, so she directed the royal chef to prepare only light desserts for her, much to the annoyance of her notoriously austere husband. Upon being presented with the chef’s confection, she found it too rich and refused to eat it. The exasperated Francis Joseph quipped, “Now let me see what 'Schmarrn' our chef has created." The emperor used Schmarrn in this sense as "Nonsense" but to his surprise he liked the "Schmarrn" and a new dish was born that became very famous across the whole German-Austrian empire. Interesting, isn't it? - Soak raisins in rum for 30 min. - Beat egg yolks, sugar, salt, vanilla sugar until you get a creamy consistence. - Add milk and flour bit by bit, then raisins. 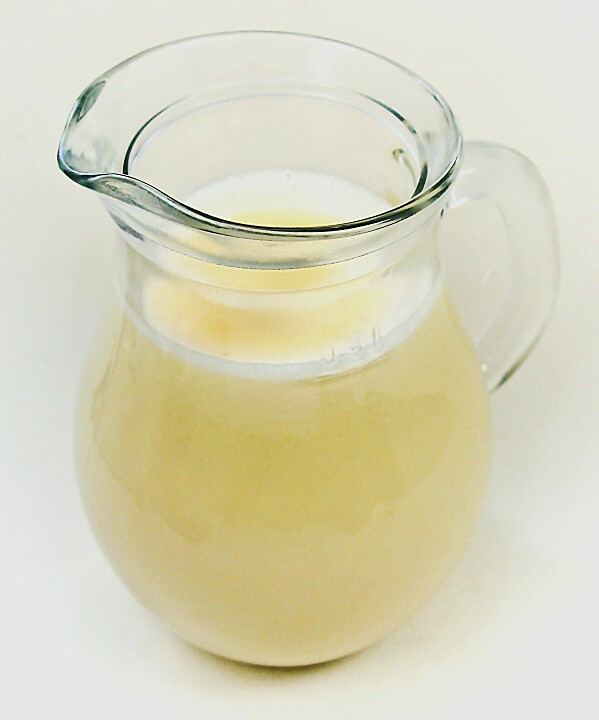 - Beat egg white until very firm. - Fold firm egg white in dough with a spoon. - Heat 1 tbsp clarified butter in a pan (28 cm diameter). - Pour in half of the batter and bake it on medium heat until golden. - Divide into 4 quarters and turn with a wide cooking spoon. - Bake to a golden-brown color. - With a fork separate the pancake into small pieces; keep warm, and bake the remaining batter the same way. - Dust the pancake with powdered sugar. 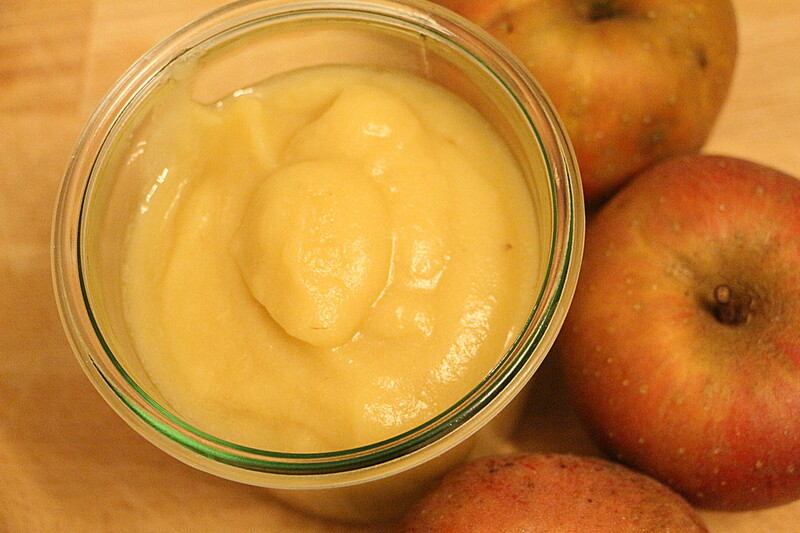 Serve the royal dessert hot and with plum compote (classic version), Vanilla sauce or apple sauce.